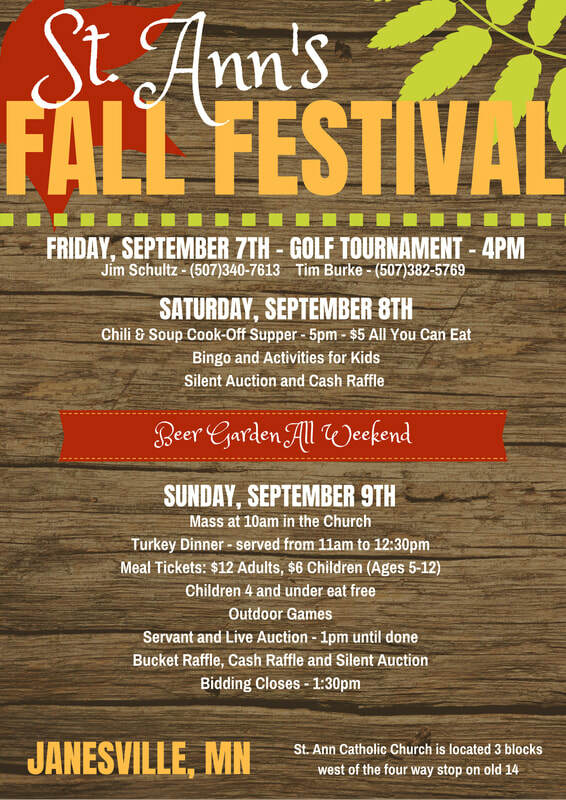 We are all excited for the up and coming St. Ann Fall Festival! Make sure to save the date, so you can join us for the fun! It takes a lot of people to organize this event and we can use your help! Please sign up to help or donate by clicking on the links below or add any comments to our Fall Festival blog!